We read a thread on Chuck Green's Facebook page and becamse so interested in this controversy, we snooped around on the web to see any of the thosands of Photoshop Tutorials took a side. Should we colorize historic black and white images? Well they all seemed to be gung-ho to colorize, with little or no mention of ethics. Even the Civil War web site is full steam ahead . . . and it just about drives you mad . . . 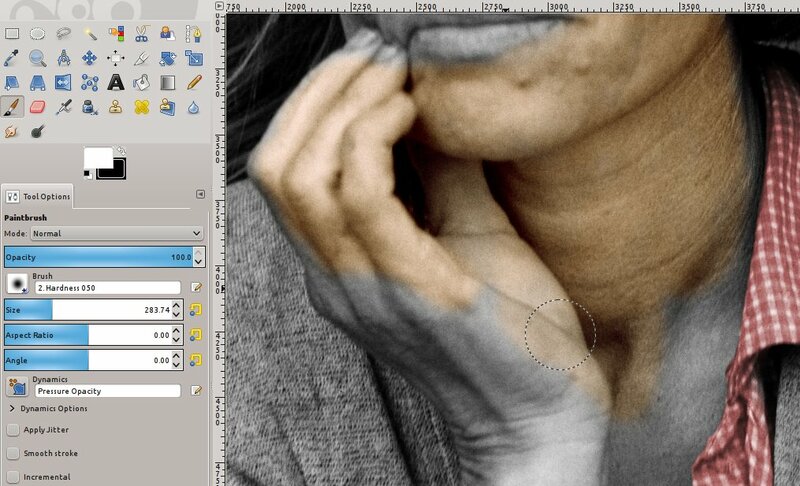 Believe it or not, the challenge of recoloring Lange's photo is tackled in a GIMP tutorial called "Use the Gimp to create color photos from black and white photos" which actually uses "The Migrant Mother" image discussed in Chuck Green's Facebook thread. Believe it or not, this is on the CivilWarTalk forum that features questions and discussions about the American Civil War! These guys don't seem to have a problem with colorization of photos. Zuzah Gaming leads this tutorial on video, which is the essence of the previous tutorial above.